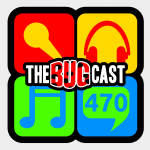 This week on The Bugcast: we look at new starts from two different perspectives, and we play our usual selection of 8 amazing tracks of Creative Commons music! The next live show will be episode 471, which will be broadcast live in the chatroom on Friday 14 July 2017 at 21:30-ish UK time (BST/UTC+1). The following week, episode 472, which will be hosted by ChrisFromCanada and replayed in the chatroom on Friday 21 July 2017 at 21:30-ish UK time (BST/UTC+1).